New research suggests that barley made its way to China about 1,000 years earlier than previously believed. RESIDUE ON POTTERY unearthed at an archeological site in northern China has revealed traces of a 5,000-year-old beer recipe that contained elements of East and West, researchers said today. The site offers the earliest evidence of beer-making in China, and shows that people of the era had already mastered an “advanced beer brewing technique,” said the study in the Proceedings of the National Academy of Sciences, a peer-reviewed US journal. Yellowish residue gleaned from pottery funnels and wide-mouthed pots, revealed the ingredients that had been fermented together – broomcorn millet, barley, a chewy grain known as Job’s tears and tubers. “The discovery of barley is a surprise,” lead author Jiajing Wang of Stanford University told AFP, noting that this is earliest known sign of barley in archeological materials from China. This beer recipe indicates a mix of Chinese and Western traditions – barley from the West, millet, Job’s tears and tubers from China. The research suggests that barley made its way to China about 1,000 years earlier than previously believed. Barley “may have been used as a beer-making ingredient long before it became an agricultural staple”, said the study. 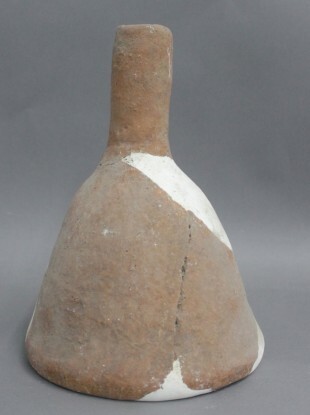 The archaeological site at Mijiaya, near a tributary of the Wei River in northern China, includes two pits dating to around 3,400-2,900 BC and contains artifacts that point to beer brewing, filtration, and storage, as well as stoves that may have been used to heat and mash grains. “My guess is that the beer might have tasted a bit sour and a bit sweet,” Wang told AFP. Sour comes from fermented cereal grains, sweet from tubers. Email “5,000-year-old beer recipe found on ancient Chinese pottery”. Feedback on “5,000-year-old beer recipe found on ancient Chinese pottery”.